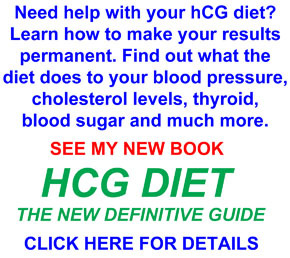 The hCG diet plan does not restrict salt. Indeed, any advice about cutting down on salt for reducing weight is bad. Here is why. 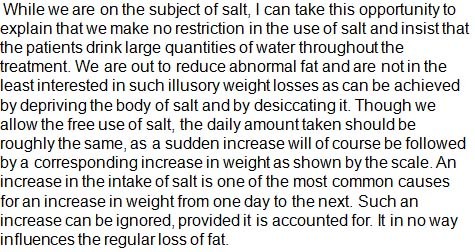 That is a good point about ‘illusory weight losses’ – i.e., those caused by diuretics that merely cause your body to dehydrate (desiccate). Not good. 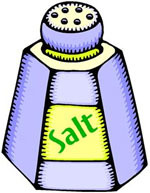 The bottom line is, keep up regular salt intake and accompany it with plenty of water. Simple.